Welcome to India Sudar 50 Days fund raising program as a Fundraiser. This is our yearly fund raising initiative to raise atlest 25% of our yearly expense. This is not mandatory things for you. If you feel, you can support this initiative in very small manner, Please do it. Other wise don’t worry about this. We will DO. 1. About this program : India Sudar required Rs.25laks to execute 2012-13 year education projects in 11 states for 25,000 students. We are targeting to collect atlest Rs.6 lac through this program. 3. Each fund raiser target: Last year we kept Rs.25,000 as individual target, But this year we don’t have any individual target. You can do as much as possible from you. Even if you get Rs.100 from your friend, will help us to educate some needy student in India. 5.4.Participant can create or sell some product for fund raising. 5.5.Participant can do any activity in honest manner for fund raising, as they like. 6.How to deposit donation in India Sudar Account ? You can directly deposit cash, cheque, DD and web transfer to IS account (or) You can request donor to deposit directly in IS account also. Branch : Nungambakkam, Chennai, India. 7.How to Issue 80G certificate ? You don’t want to issue 80G certificate. India Sudar will send 80G directly to donor through email. This is applicable only within India. 8.How to track your overall fund raising target ? I will maintain separate excel to track your overall fund rising and will be published alternative/or days. 9. India Sudar Promotional Material from this link. You can print and use this material (or) You can use it through email also. Please let me know if you need any other information/constrain. You can reach me through email or phone as you like. I am very happy to aware you that the construction of learning centre building is almost completed. Setup will start from the first may . April for student’s refreshment . After that we will start the summer session . Sunday morning from 10am to 12pm . every house of purania village and other nearest village to search the needy student . We have conducted the exhibition at vellakovil East school, VELLAKOVIL UNION, TIRUPUR DISTRICT. Nearly 610 people around vellakovil has participated. We taught 60 Experiments to all 15 schools at vellakovil union, Tirupur District. All the students learned and understood all the experiments very well, and they got benefit through SEBLA project. Totally 93 students, belonged to these schools participated and teachers and students from these schools co-operated and make this function a grand success. Welcome Address: Mrs,S.Vasantha, Head master, Vellakovil East School. Special speech: Mr. M.Ragupathi, SSA Officer, Vellakovil union. Vote Of Thanks: Mr.S,Chandrasekar Teacher, Soriyankinathuppalayam school. 1st price-P.Deepika6th Standard, Muthur school. 2nd price- G.Sastha 6th Standard, Vellakovil East School. Totally 93 certificates and three Awards were distributed. 93 students participated 93 certificates were given to 93 students for participation. Three Certificates and Three Awards for price winners. 2011-12 ACHIEVED What we planed !! What we achieved ? It’s very important for us to plan well to reach our vision !! It’s very important for us to self evaluate our execution result with our plan !! What Actually we did in year 2011-12 ? We planned to execute 248 projects for year 2011-12, but we executed only 212 projects. It’s because of lack of fund. We planned some of the fund raising event, which never happened & So we are NOT reached 100% of our planned target. There is no sense of keeping very small target and achieve it where our country required more rural education. Let’s work together to reach our target for year 2012-13 in realistic manner with well planned execution. You are educated several needy students through your TIME and Donation !! Lets work together with same passion and selfless commitment to reach our mission 2012-13. It never matters what big things you did for our society, But its matter you did little thing with selfless passion and commitment !! 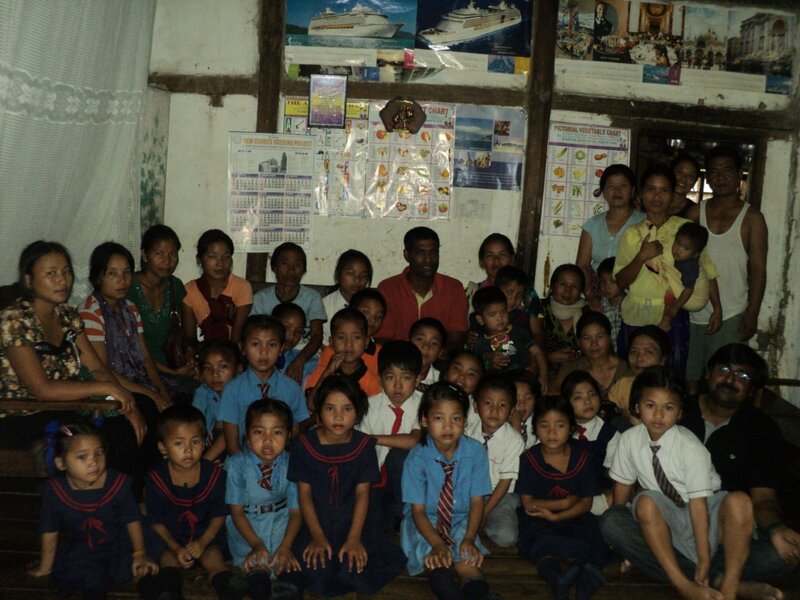 As you know well, We adopted 21 manipur students education from year 2009. Please find attached student’s progress report for year 2011. Thanks for educating these students through donation and support ! !